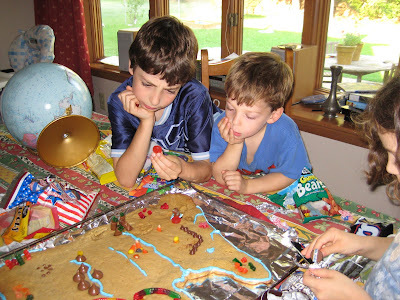 A Homeschool Story: Eat the map!? We probably would have eaten more of them and not thrown so much away if there wasn't so much frosting. ....well....and Kayla's had an awful lot of candy, lol! How fun to get comments on my blog!